Posted on 14, June 2016 by EuropaWire PR Editors | This entry was posted in Construction, Non Profit, Sports, United Kingdom and tagged charity, CRASH, Dragon Boat Challenge, GRAHAM Construction, London’s Construction Industry. Bookmark the permalink. GRAHAM team to participate in aid of CRASH charity. LONDON, 14-Jun-2016 — /EuropaWire/ — For the second consecutive year, GRAHAM Construction is proud to support London’s Construction Industry Dragon Boat Challenge in aid of the charity CRASH. CRASH is celebrating their 20th Anniversary, and the recent news of their support of Hospices as well as Homeless Charities. It is estimated that 400,000 people experience homelessness in the UK every year. 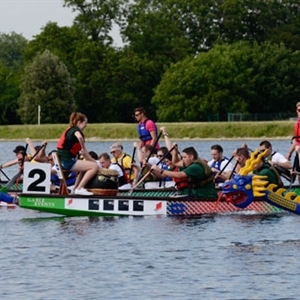 The 18th Dragon Boat Challenge takes place at West Reservoir, London, N4 2HA on Thursday 23rd June 2016 and GRAHAM Construction has signed up under the crew name, G-evolution 2. For those unfamiliar with the event, Dragon Boat Racing is an ancient Chinese tradition – up to 10 people paddle each 30’ boat with a drummer at the front beating time and a helm at the tail steering a straight course. This is a mixed event, for both male and female crew members and no previous experience is required – just plenty of team spirit! Spectators are encouraged to cheer on the 40+ boats – entrance is free with a barbeque & bankside entertainment provided by the organisers.